Taper Dark Blue Candles is a sleek taper, it's 10 inches tall, 7/8 of an inch in diameter, and it's Dark Blue! Bad vibes don't stand a chance, and to see it lit is a mind boggling experience second to none. An elegant taper candle can add sophistication to any party. Taper candles have been used for hundreds of years for their light. 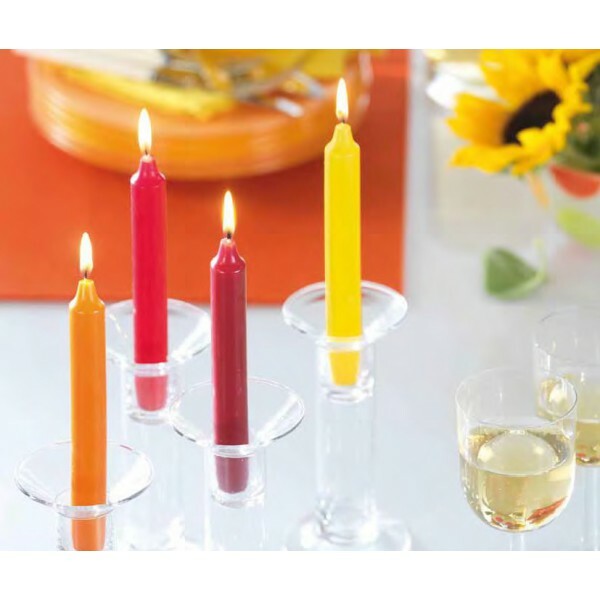 In the last century, taper candles have evolved into beautiful works of art with many shapes and colors to choose from. Whether you are looking to enhance the romantic atmosphere in the room or add a little pizzazz and sophistication to an event, tapers are the way to go! 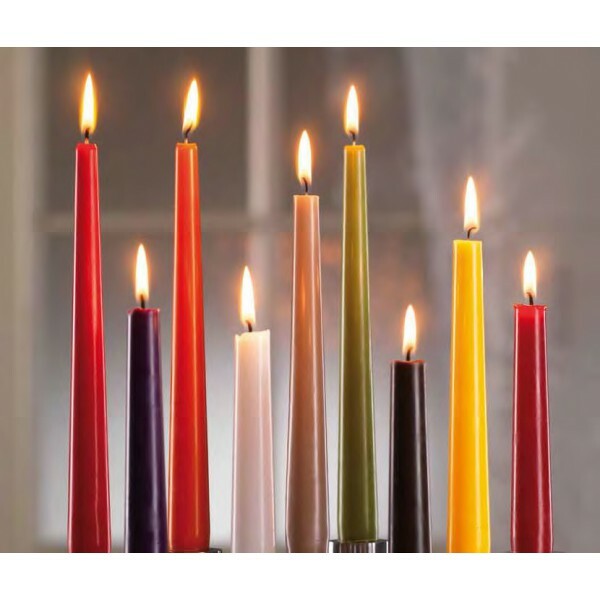 These candles are drip less, but keep this in mind, all drip less candles require ideal burning conditions. Make sure that wick is trimmed to 1/4" before each lighting and that there is no breeze or draft present. Keeping your wicks trimmed also helps the candle to burn properly and minimize soot! 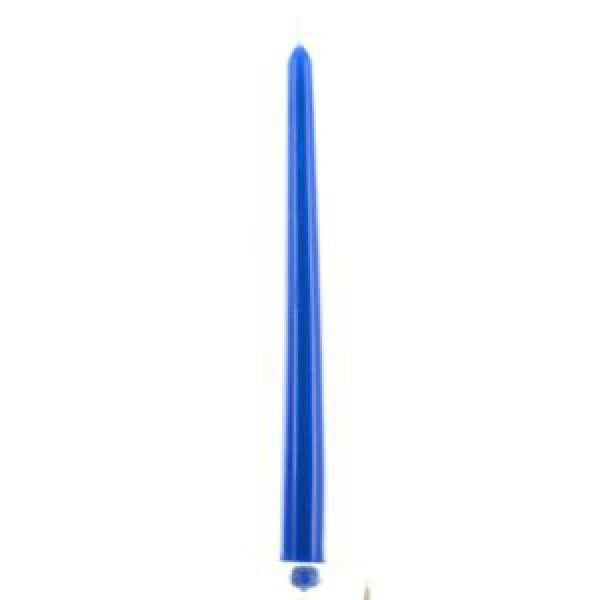 Taper diameter standards: The usually standard is between 3/4 inch to 7/8 inch. Usually taper holders are tapered themselves to accommodate the different size range. But just in case your holder is larger than normal, you can use STICKY WAX to take up the space and ensure a tight fit every time!